Dragon And Skull Statue With LED Light | BUDK.com - Knives & Swords At The Lowest Prices! An LED light inside our Dragon and Skull Statue eerily changes colors to give you a really cool lighting effect for your home, office or event. Expertly sculpted in polyresin, this intricately detailed, decorative statue has the appearance of an actual ironwork piece. 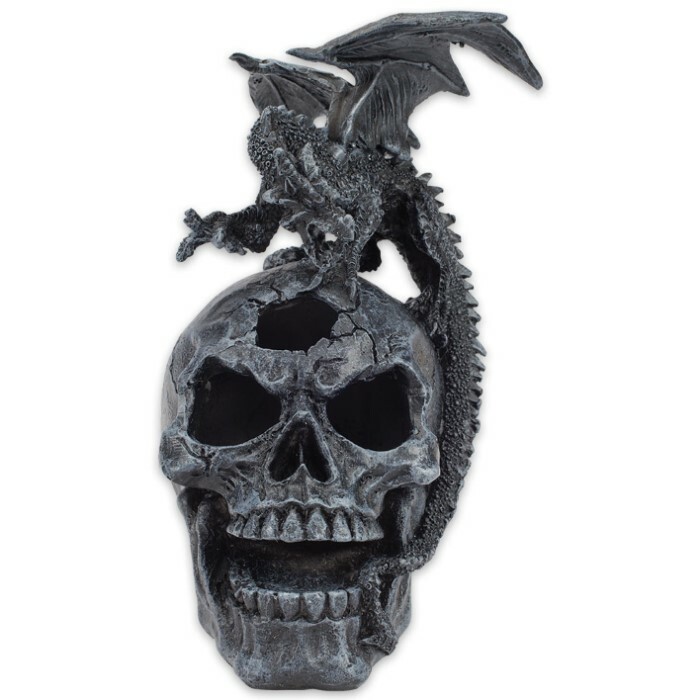 The Gothic inspired piece features a dragon perched atop a grinning skull with open hollow eyes. The lighting effect uses two 357 batteries (not included). Fine quality and original design make our home decor collection stand above all others!